Everyone wonders what the difference is between a Kindle and a Tablet. Well, the Amazon Kindle was one of the first eReaders on the market. Kindles are used for a wide variety of reasons. Kindles are perfect if you enjoy reading in any location, without the hassle of carrying a bulky book. While at the same time, providing convenience of each Kindle weighing very little. Here is a description of a Kindle: A line of Android-powered portable e-book reader devices developed by Amazon that enable users to shop for, download and read electronic versions of books, newspapers, magazines, websites, blogs and more. 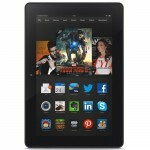 Amazon’s basic Kindle devices primarily compete with similar e-book devices like Barnes & Noble’s Nook, while the more advanced Kindle Fire competes with mobile devices like Android-powered tablet computers and Apple’s iPad. The entry-level Kindles’ primary purpose is for reading books, and the devices utilize Electronic Ink (“E Ink”) technology called E Ink Pearl to improve the reading experience. 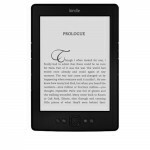 Compared to the LCD screens utilized by most mobile devices, the Kindle’s E Ink Pearl technology and monochrome matte screen combine to provide sharp, clear text and reduced glare for extended reading with less eye fatigue. 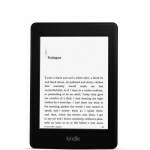 The Kindle 6″ E Ink Display is ranked #7 in Amazon Devices purchased. Take a look through the World’s Best Selling Kindle eReaders made my Amazon. Compare any of the Kindle eReaders and I’m sure you will find the simple convenience they provide the reader for every occasion. Amazon Kindles can now lend eligible Kindle books to other Kindle or Kindle app users for up to 14 days. If you’re looking for a reasonable eReader that can do more than you’ve bargained for, I think that between the Kindle 6″ E Ink Display, the Paperwhite and the Paperwhite 3G, you will find something perfect for your every demand. Paperwhite is unlike reflective tablet and smartphone screens, the latest Kindle Paperwhite reads like paper—no annoying glare, even in bright sunlight. The new Kindle Paperwhite’s processor is 25% faster. Read with one hand—over 30% lighter than iPad mini. The battery read time lasts weeks, not hours, so your not constantly charging it. On a side note, on the 25th July 2014, Amazon is to release it’s Amazon Fire Phone, Amazon’s First Smartphone!